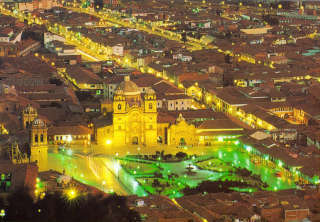 This package includes a two days visit at Machu Picchu with an overnight in Aguas Calientes, the Sacred Valley of the Incas tour, Cusco city tour and also includes an unusual tour of the popular markets , the real life of the Peruvian people outside of the standard tourist routes. Unlike the popular trekkings in Cusco, walking through the Lares Valley takes us to see real remote places, a destination still unknown by many. You can say without doubt that this is a journey into the heart of the Andes where few tourists have been encouraged to venture. This wonderful trail will take you to beautiful natural landscapes with beautiful lakes, adorned with stunning and breathtaking glaciers. This is a totally different world from ours, an Andean paradise where the inhabitants of small villages still use ancient forms of life. 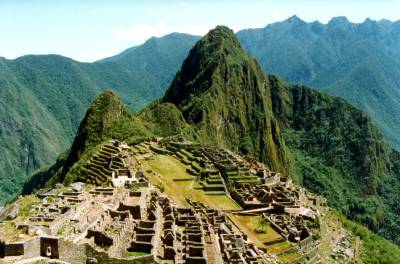 This wonderful trip also allows the Sanctuary of Machu Picchu, voted one of the 7 wonders of our planet. After breakfast, at 6.30 am, we will leave Yanacocha and gradually descend for about 2 hours to Chaqchapata (3950 m). We will be able to see the potato crops, herds of llamas and alpacas that are developed in this part of the Andes (part of the camelid family), as well as the local communities of people still in our time continue to live in farmhouses made of stone. Along the slope can be seen Chaqchapata farmers. 30 minutes later you will find Wakawasi. Then go up to about one hour and a half for our lunch in “Hierba Esponjosa” (spongy grass). We will also see a glacial stream, Champacocha. 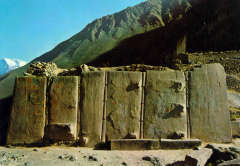 Very early, at 5:30 am, after the breakfast we will depart to experience a perfect visit to the ruins of Machu Picchu. You will need to leave early to avoid congestion with other groups of tourists and enjoy the spectacular view of sunrise over the mountains of Machu Picchu. To reach the ruins of Machu Picchu, it is necessary to take the local bus. This short bus ride takes only 20 minutes, and runs an unpaved track, very steep and winding through a jungle and mountain features stunning views. Finally, we arrive at Machu Picchu, where our guide will accompany us on a tour of the most important sectors of this beautiful citadel. In Machu Picchu we will go 2 hours with our guide and visit the agricultural area, consisting of sets of agricultural terraces, the urban area where the occupants lived and where some of the main civil and religious activities. Approximate time of Visit: 3 to 4 hours.  Briefing time one or two days before the trek.  Professional English speaking guide.  Assistant guide from more than 9 passengers.  One inflatable sleeping pad per person.  Mules (to carry tents, food and cooking equipment).  Mules to carry personal gear up to a Maximum of 5kg per person (including sleeping bag and sleeping pad).  Duffle bags for personal luggage, per person.  Meals (3 breakfasts, 3 lunches, 3 dinners + daily morning snack).  One Textile Snack Bag per person, to avoid the usage of plastic bags that contaminate our environment.  Others: hot water every morning and evening for washing purposes / boiled water to fill in your water bottle every morning and night, and at lunch time if requested with enough time ahead.  Visit to the hot springs in Aguas Calientes: a relaxing way to end-up the trek while you’re awaiting the return train to Cusco, only 10 minutes from the village center, entrance fee is s/10.00 (Peruvian Soles). Towels can be hired in Aguas Calientes.  Snacks: biscuits, energy bars, chocolate, raw fruits, muesli, etc.  Water container and water for the first morning.